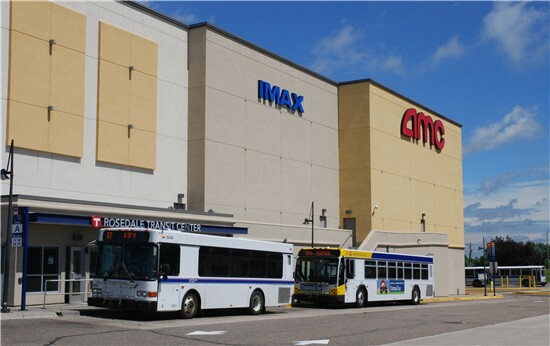 Description: The Rosedale Transit Center is located on the east side of Rosedale Center, near the entrance to the AMC movie theater. Connecting routes serve Minneapolis, St. Paul and the surrounding suburbs. There is a small indoor waiting area for passengers. Opening mid-2016, the A Line is a new kind of bus service and coming to Snelling Avenue, Ford Parkway and 46th in Roseville, Falcon Heights, St. Paul and Minneapolis. The Rosedale Transit Center is the northern terminus for the A Line.